Africa is arguably the most romantic continent, just imagine sleeping under the stars in safari-style tents, bearing witness to elephant migrations and watching flaming red sunsets. In some parts of Africa, that vision is still true. But South Africa is also a fast-paced and modern society, complete with super-fast internet, massive highways and bustling airports. That’s why stepping back in time and travelling across South Africa at a sedate pace, on board a luxurious colonial-style train, is so magical. Plus, travelling by train allows visitors to uncover remote parts of South Africa that you wouldn’t otherwise see if you simply flew between cities. 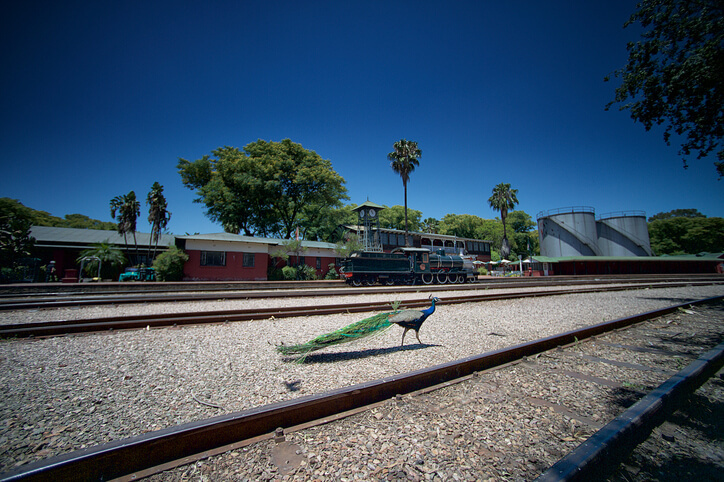 The luxurious Rovos Rail journey starts in Pretoria, the administrative capital, about 70 km north of Johannesburg. 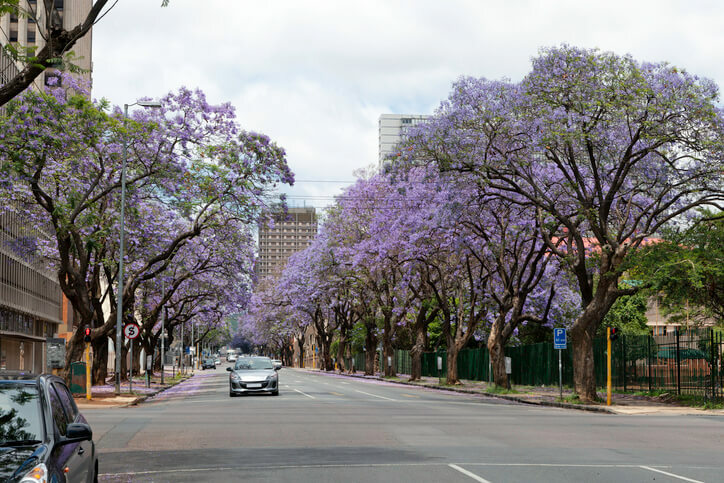 Famed for its jacaranda trees that turn the streets purple in spring, Pretoria has a turbulent history. 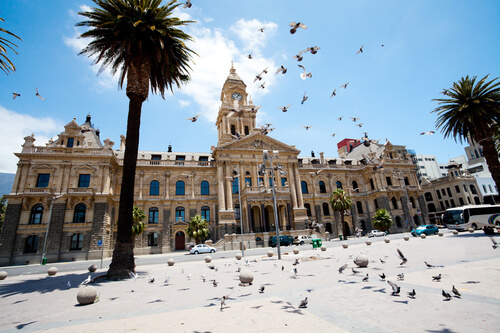 Today, a buzzing metropolis, it is the ideal place to pause and reflect on South Africa’s history before boarding the train. 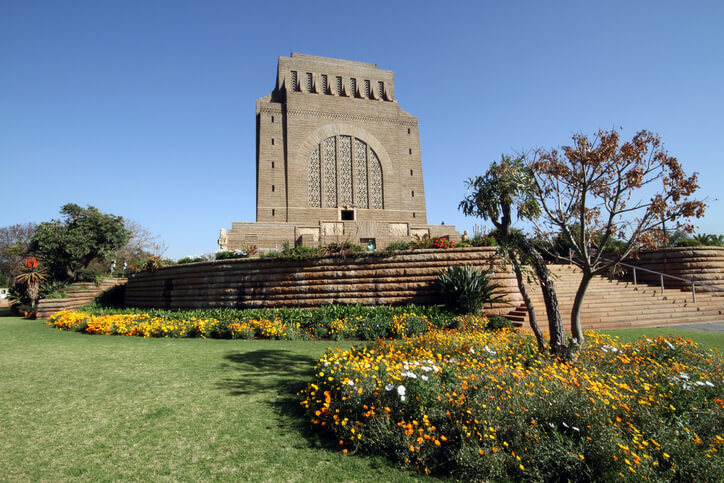 Visit the Voortrekker Monument, a tribute to the Afrikaners who trekked across the country, and take in the Union Buildings where, in 1994, Nelson Mandela was sworn in as South Africa’s first democratically elected president. 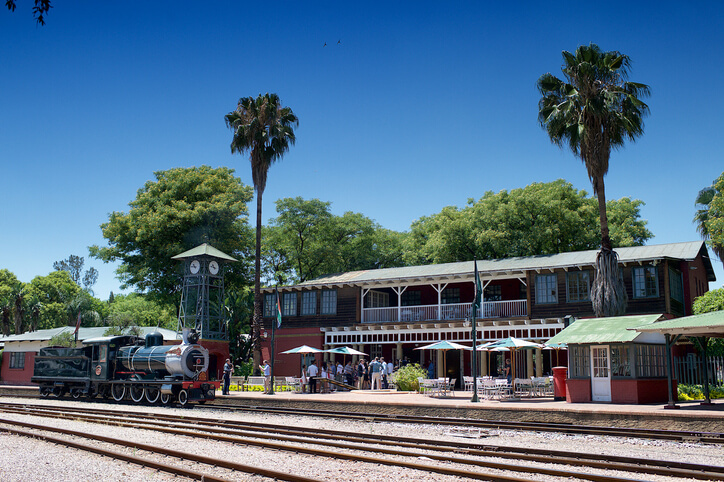 Amid this historic backdrop, the Rovos Rail journey departs from Capital Park Station, a private, colonially styled station. 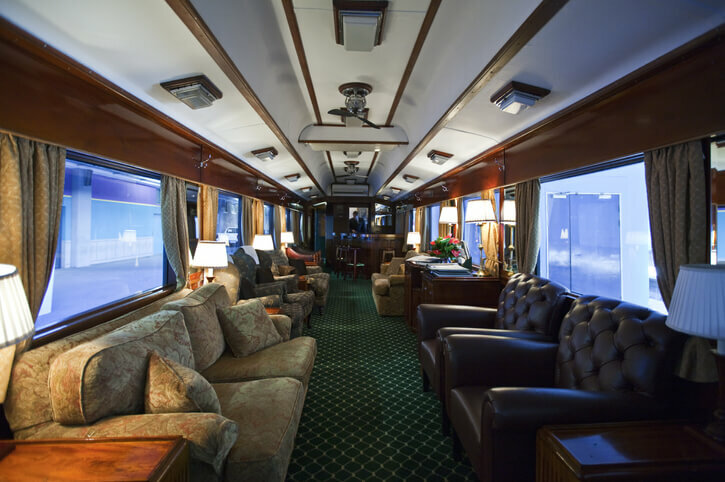 The Rovos Rail reflects a bygone era: the trains, which have 36 suites, feature first-class cuisine served alongside South African wines. All meals and drinks are served onboard and within the colonial-style dining rooms and suites. 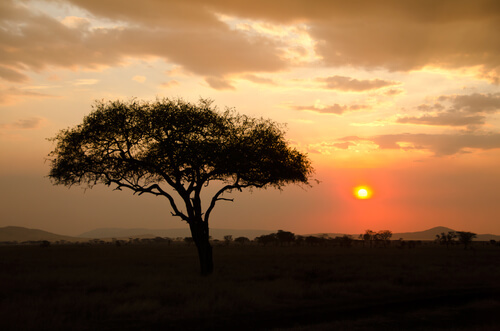 Guests can simply relax, soak up the romantic atmosphere and watch the African landscapes unfold. Today, train travel isn’t that common in South Africa. The country’s railways were, however, originally pioneered by colonialists who wanted to connect ports such as Cape Town, Durban and modern-day Maputo in Mozambique with mining and resource-rich areas in the interior. Departing Pretoria, the train rolls south to Johannesburg and the ridges of the Witwatersrand. 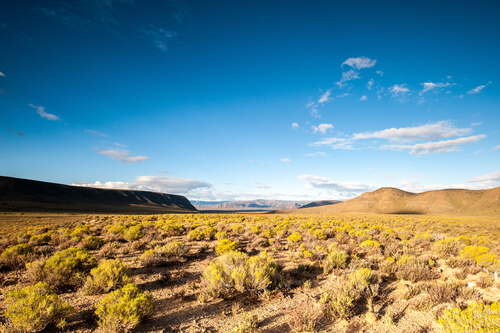 Look out for gold mine dumps – the by-product of gold being discovered here in 1888. Just south of Johannesburg is Soweto, the country’s most famous township and once home to two Nobel Peace Prize winners, Nelson Mandela and Desmond Tutu. From here, the train rumbles west across the Highveld towards the Northern Cape Province and another giant in South Africa history: the diamond mining town of Kimberley. Diamonds were first discovered here in the mid-1800s and it wasn’t long before hoards of prospectors arrived. British colonialist Cecil John Rhodes – who went on to claim modern-day Zimbabwe and Zambia on behalf of the British – made his fortune here. 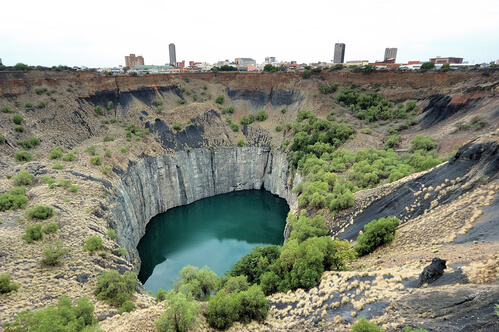 Kimberley’s most famous attraction is the Big Hole – a massive gash in the earth’s surface and the result of feverish digging from diamond-hungry men. Visitors will also learn that it was the first city in the Southern Hemisphere (and only the second in the world after Philadelphia) to integrate electric streetlights into its infrastructure in 1882. After departing Kimberley, the Rovos Rail continues onwards to the Karoo, the Northern Cape’s desolate, beautiful and at times, moon-like landscape. It might look empty, but there’s plenty going on here. As the train rumbles through the night, guests can reflect (from the comfort of their beds) that this slice of South Africa is a leading astronomy destination (thanks to little or no artificial lights), has a rich literary and artistic history, and is where numerous archaeological discoveries, including dinosaur fossils, have been made. The next day, as the day dawns, the train trundles towards Cape Town through a series of tunnels and into the Mother City. Cape Town is one of the jewels in South Africa’s crown – a multi-cultural, vibrant place famed for its arts, culture, natural attractions and cuisine. It is also where the story of colonial and modern South Africa began and where Nelson Mandela spent 18 of his 27 years in jail on Robben Island. So wave goodbye to the Rovos Rail – there’s plenty more to see and do in Cape Town.